The three stories of one Russian Tsar, Nicholas II, and two Kings, England’s Charles I and France’s Louis XVI can be reduced to isolated adolescences and lack of situational awareness in their homelands. This isolation continued into their adult lives and created a stubbornness and sense of entitlement. Their refusal to understand the plight and basic needs of citizens and the nobility forced their enemies to take action. The lack of leadership at crucial times gave their enemies the chance to strike and force a surrender. In all three cases, the revolutionaries that captured them felt it necessary to execute them so that they would not be a living symbol for their supporters. In two cases, King Louis XVI and King Charles I were beheaded. 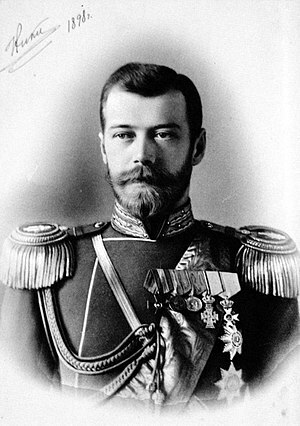 In the case of Tsar Nicholas II, he was gunned down along with his entire family. Louis XVI’s wife, Marie Antoinette, also met the executioner’s guillotine. When there are wars, lack of basic needs like food and shelter, and general unrest, it can force people to desperation and revolution. History’s lesson for these three rulers from the genetic lottery is that their lofty stations in life didn’t necessarily mean safety from scheming enemies. King Charles I of England ruled during the years from 1625 to January 30th, 1649. It was during his reign when Puritans and Catholics began leaving England due to religious persecution. He also kept dissolving parliament (3 times) so that he could run things his way within the first three years of his rule. This forced him to raise funds by other forceful means. What really got him trouble was creating enemies within the nobility. Due to wars with Scotland and Ireland and creating tensions within the religious communities, he was on a collision with powerful groups. Eventually, civil war began in 1642. The Royalists were defeated in 1646 due to the Parliament’s alliance with the Scott’s. Charles surrendered to the Scott’s who handed him over to Parliament. He escaped to the Isle of Wright in 1647 and a second Civil War began and was finished within a year. 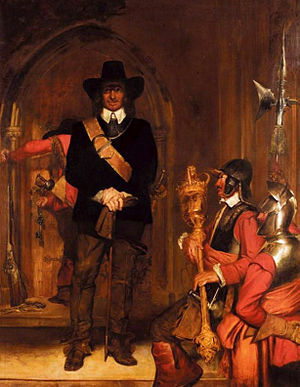 Parliamentarian General Oliver Cromwell defeated the Royalists. Charles was captured. The conquering parliamentarians decided that the country would never have peace if the King continued to live. Cromwell and his associates put the King on trial, found him guilty of treason. He was executed outside the Banqueting House on Whitehall, London on January 30th, 1649. Louis the XVI got into trouble by not having the necessary leadership qualities to understand the social and political climate of the period. He preferred hunting rather than sitting in his office trying to figure out budget concerns and other political matters. He relied heavily on the court member’s advice. 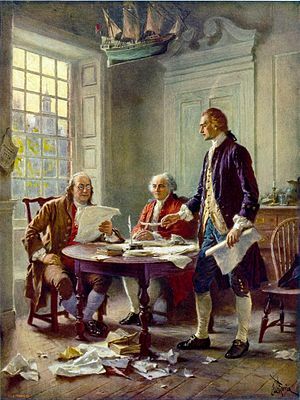 In addition, his treasury secretary’s financing part of the American Revolution reduced the funds or canceled out any savings from the reforms the King approved. His laissez-fair attitude got him trouble with parliament, the nobility and his subjects. Once the debt got to be unmanageable the King tried to tax the notable or privileged classes. The assembly balked at that demand. The King sent troops to Paris to force his will. This was the spark that ignited Bastille Day, where the Bastille was stormed on July 14, 1789. The royal family was confined to Paris in Tuileries Palace a couple of months later. They tried to escape but were recaptured. At the time, France was at war with Austria and Prussia. Marie Antoinette’s was the daughter of an Austrian royal family. The Austrian’s made it clear that should any harm come to Louis and his family, they would march on Paris. Louis’s communication with the Prussian’s infuriated the revolutionaries. 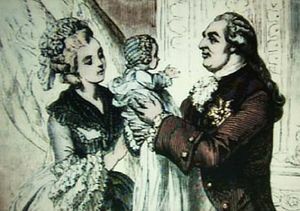 After the family’s imprisonment in the Temple in August of 1792, incriminating evidence was used to try Louis XVI in January of 1793. He was found guilty and guillotined on January 21, 1793.
influenced by his wife Princess Alexandra. He got off to a bad start when he tried to gain more land by getting into a war with Japan over Manchuria. This resulted in a humiliating defeat on land and sea. This provoked riots and demonstrations due to poor economic conditions in Russia. In January 1905, Russian troops fired into a crowd who were demonstrating for reforms. This event forced a change. The Tsar, in order to keep power, accepted a constitution and a ruling government body called the duma. This enabled the middle class to have more say in government affairs. However, the Tsar still had his secret police to stifle radicals. This held off the inevitable, but with the start of World War I in 1914, the Tsar made an unwise decision. He went to the front to lead the Russian Army . The Army was experiencing heavy losses and with each one, the blame was attributed to the Tsar. Combine that with food shortages, high inflation, suppression and general unrest, Vladimir Lenin had the chance to strike. In 1917, widespread demonstrations in Petrograd, combined with the Tsar’s loss of support from the Army, Nicholas II abdicated the throne. After the end of World War I, a civil war began between the Bolsheviks and the anti-Bolsheviks. The Bolshevik’s moved the royal family from place to place until Lenin gave the order to execute the whole family. Feel free to comment about this post or any other one.